Teachers know that every child is different. It’s always good when children are learning at an average level or above. However, some disabilities – such as speech or language disorders – making learning difficult for some children. Stuttering, lack of articulation and voice issues can lead to learning disabilities, especially in terms of speaking and reading. 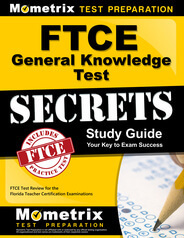 Prepare with our FTCE Study Guide and Practice Questions. Print or eBook. Guaranteed to raise your score. Get started today! There are special education teachers who specialize in this area and have the skills to help these children overcome their disabilities and succeed in and out of the classroom. Florida speech and language teachers are required to pass the FTCE Speech-Language Impaired K–12 test to prove their proficiency. The FTCE Speech-Language Impaired K–12 exam asks you to answer 120 multiple-choice questions within two hours and 30 minutes. You will need a score of at least 200 to pass. You can find out if you passed right after you take the test, although official scores are mailed in four weeks. The fee for the test is $200. If you are not satisfied with your score, you can retake the test for an additional $220. FTCE Flashcards. 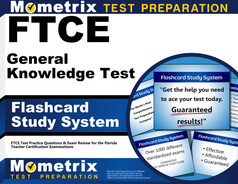 Proven FTCE test flashcards raise your score on the FTCE test. Guaranteed. You will be tested on various skills, such as anatomy of speech, hearing mechanisms, articulation, neurological components, communication disorders, assessment principles, data interpretation, remediation of communication disorders, service delivery models, collaboration strategies, assistive technology, federal regulations, individual education plans, records management, ethical behavior and evaluating information. Get a passing score on your first try by using the FTCE Speech-Language Impaired K–12 practice test, developed by the Mometrix Test Prep Team. Studying is only effective if you know what will be on the test. The practice test gives you a feel for the real test. The questions are similar to what you can expect, so there is no need to guess. It’s a free and easy way to assess your knowledge, so get a head start and try it today.